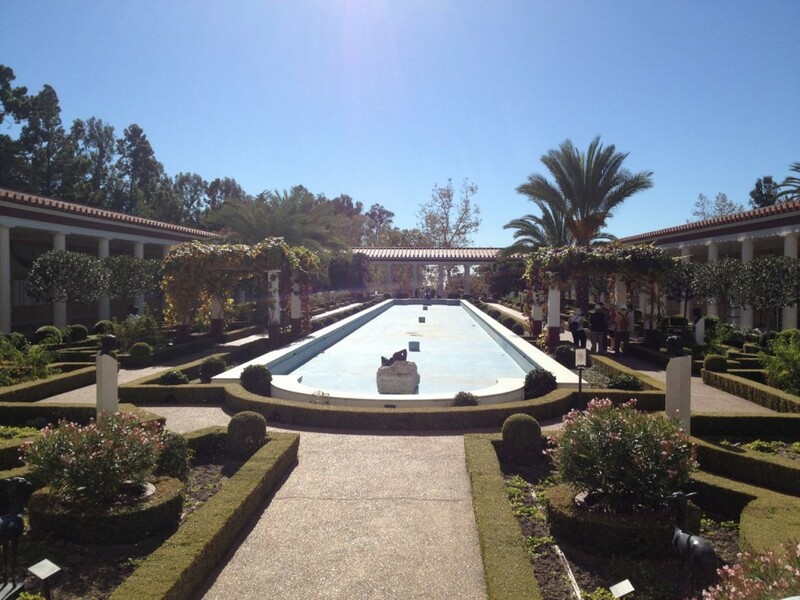 If you are looking to have the most lovely afternoon, consider visiting The Getty Villa. 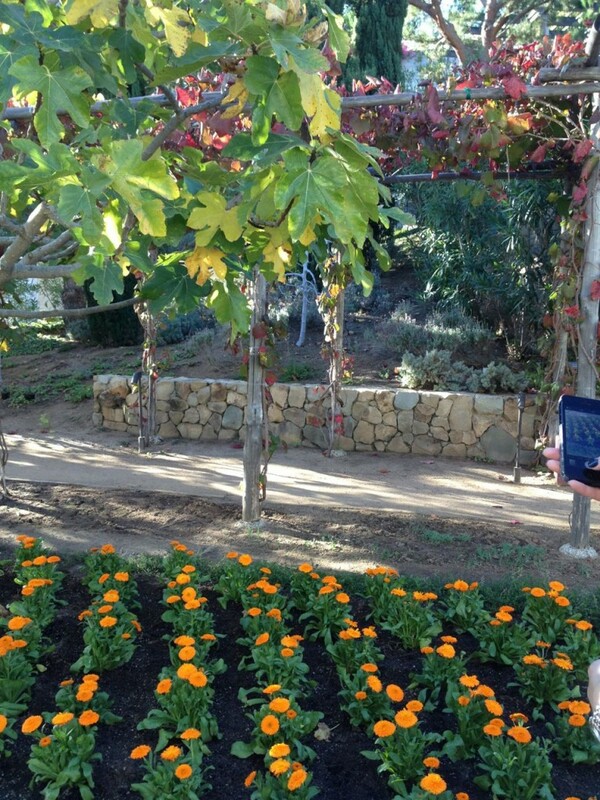 Not only does its Malibu location boast the most beautiful views, but the actual property is beyond stunning. You feel as if you have just stepped into a beautiful town in Europe. The Getty Villa is an educational centre and museum dedicated to the study of the arts and cultures of ancient Greece, Rome, and Etruria. I visited for afternoon tea and a garden tour. The pumpkin bread pudding at the tea was bursting with creaminess, cheese, and a hint of fall spices and flavours. 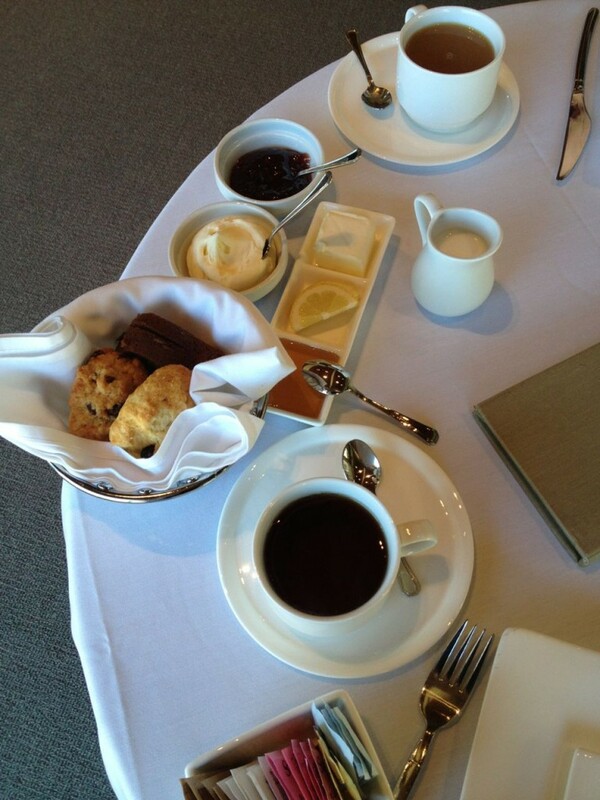 The scones were to die for, along with the little sandwiches and pastries. 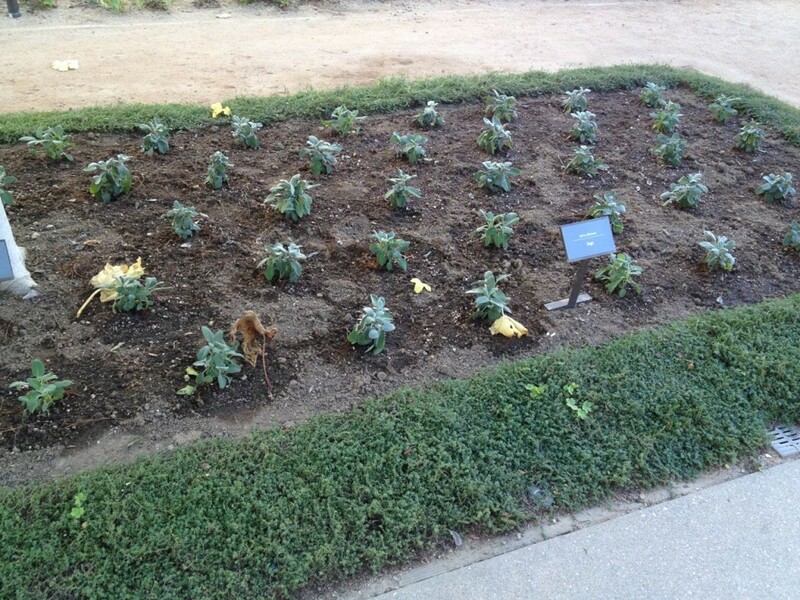 A walk through the garden with the loveliest elderly tour guide was precious and relaxing. Smelling all of the fresh herbs growing and seeing a variety of fruits and vegetables growing was such a nice escape from the busy city of Los Angeles. Since I spent the day in Malibu, I figured it would be nice to try one of the well-known restaurants along the coast with magnificent views. 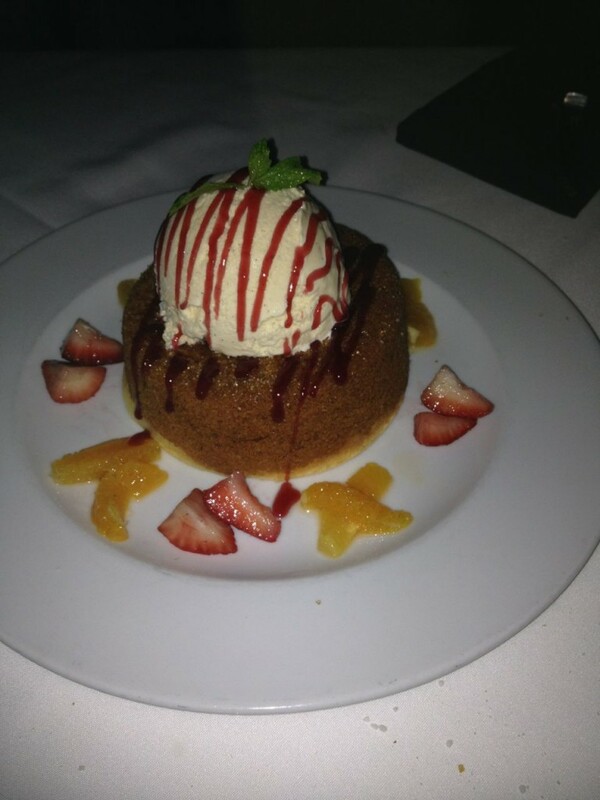 I decided to treat myself and head to Mastro’s Ocean Club which is a steakhouse. For starters, the view is just how you would imagine, sitting right along the ocean, looking out into the night. 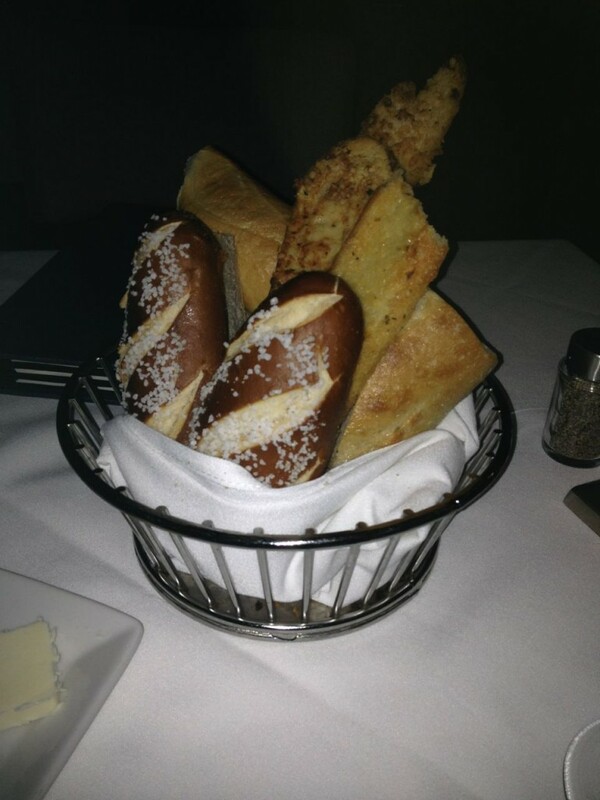 I’ll start with the bread basket since it is worth mention. Pretzel buns, garlic cheese toasts, the freshest baguettes, what a start!! 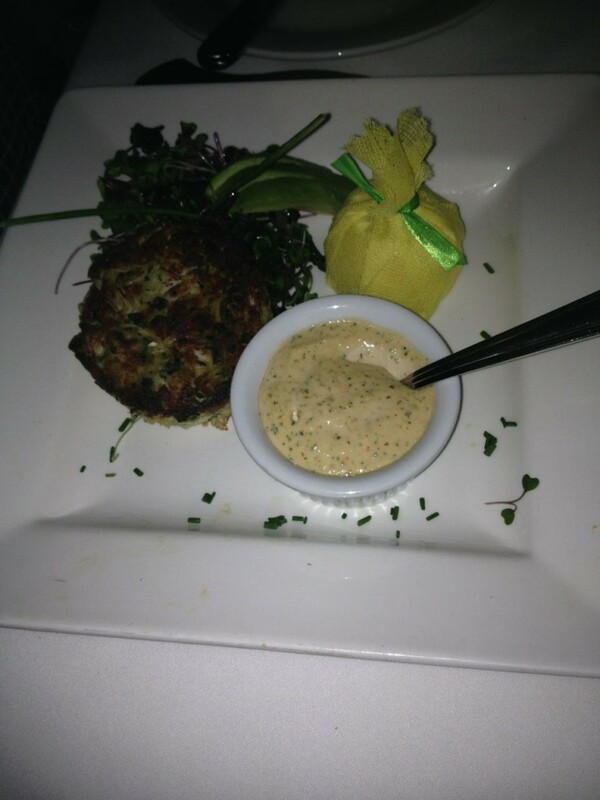 After gorging on bread, my crab cake appetizer arrived which was fresh and succulent on the inside, and crispy on the outside. 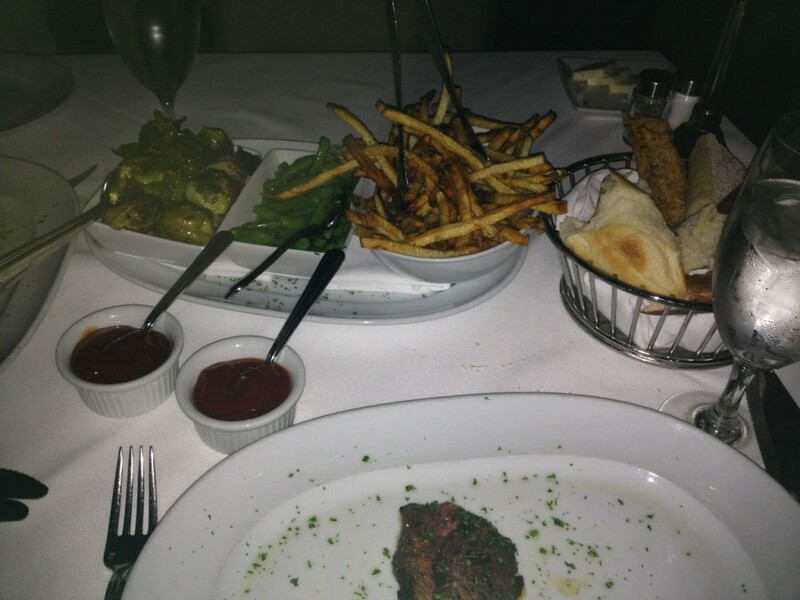 The main course was a filet with a side of fries, roasted Brussels sprouts, and buttered sugar snap peas. 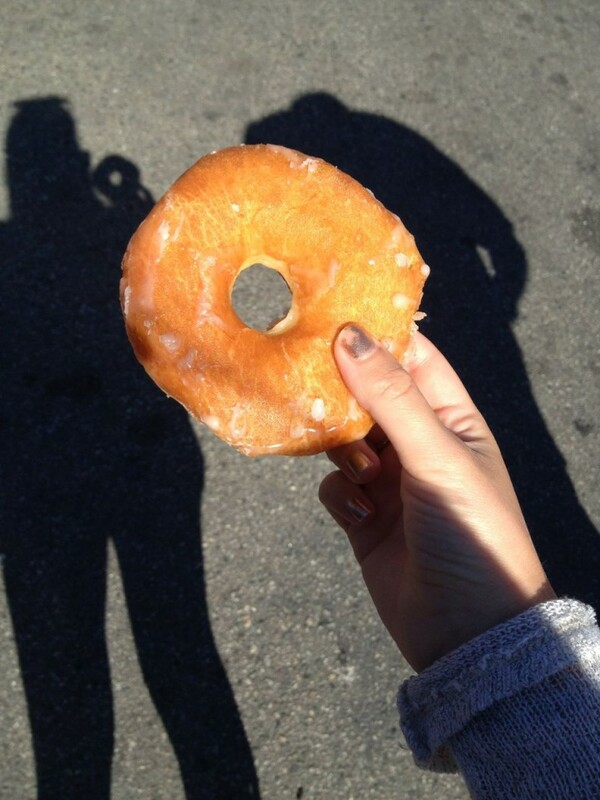 Each bite was better than the next. The steak was served on a 400 degree plate, and you could hear it sizzle and continue to cook right in front of you. Although I was extremely full, as soon as the server started describing their Signature Warm Butter Cake, I made some room. The size was enormous, the taste was smooth and buttery, and the ice cream scoop and raspberry drizzle really finished me off. Oh and the side of house made whipped cream. Enough said. This was one of my favourite meals, from start to finish. 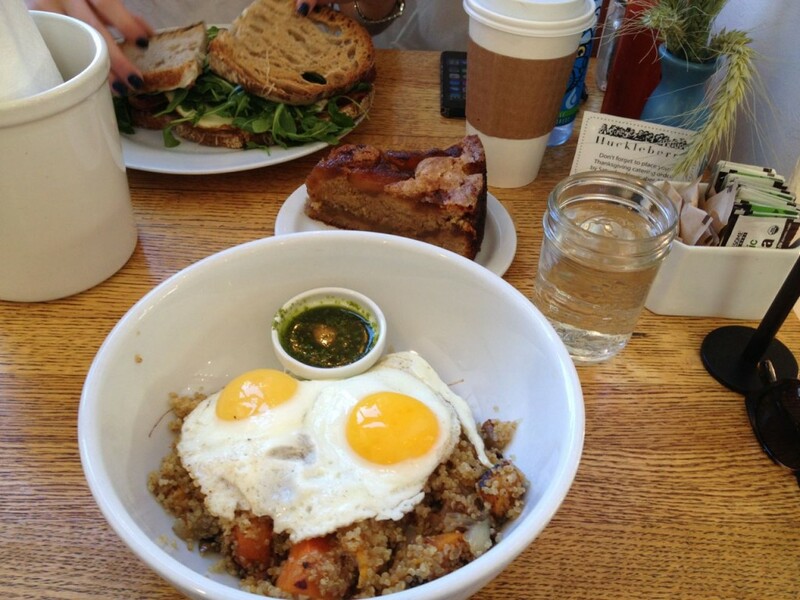 As if I hadn’t eaten enough, Saturday came around and you know what that means-brunch! I had been dying to try Huckleberry. Everything is made on site, with the freshest, local ingredients, changing with the seasons. I decided to try something on the healthier side, so I chose the Organic golden quinoa with Farmers’ Market vegetables, sunny-side up eggs, and my own addition of pesto on the side. It was fresh and healthy, yet extremely flavourful. Pastry chef Zoe Nathan is known for her delectable sweet treats, so it wasn’t even an option that I would be trying something for dessert. 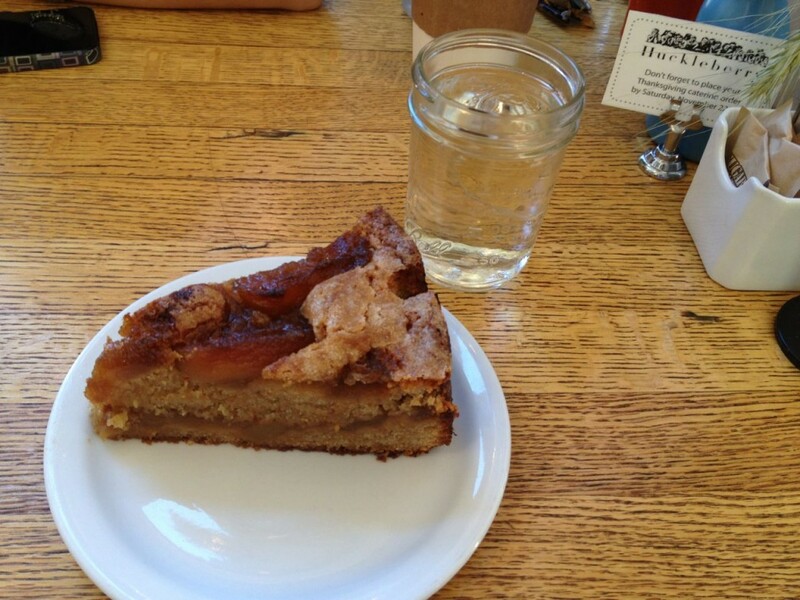 The apple cake was calling my name. It was rich, sweet and buttery, just as cakes should be. 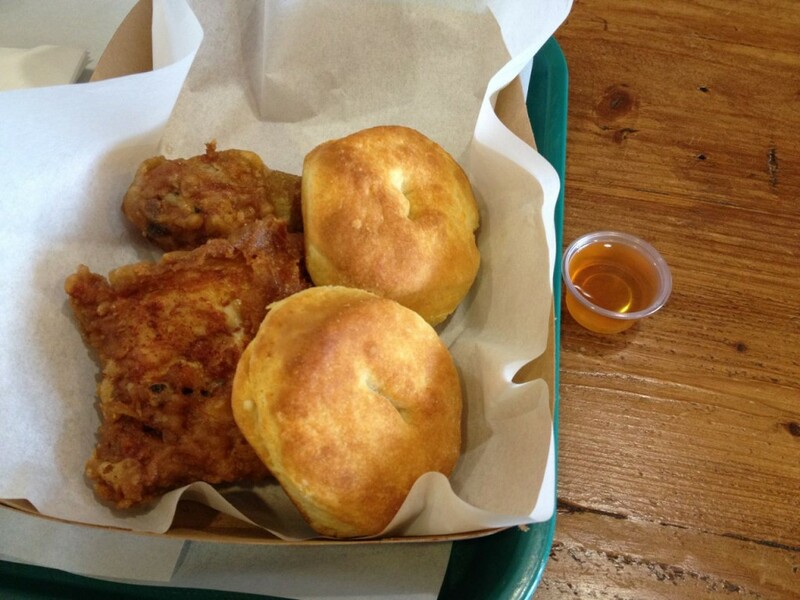 I couldn’t stop thinking about Huckleberry, so I went back for dinner another day. This time I tried the Roasted free range turkey sandwich with grapes, Tillamook cheddar, spinach & green goddess on multigrain bread. The freshly baked bread, moist turkey, unique texture from the grapes and the green goddess sauce made for not just your ordinary turkey sandwich. 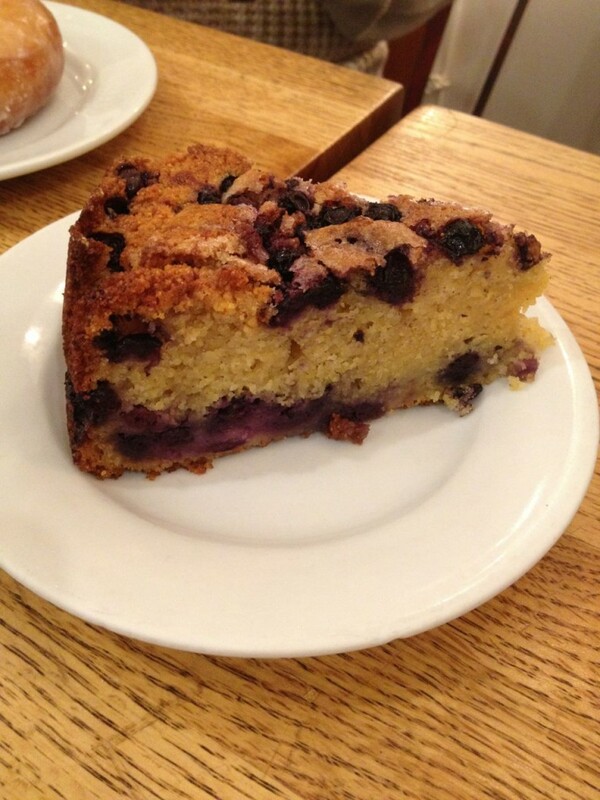 The blueberry cornmeal cake was for dessert, and was amazing as expected. The crunch from the cornmeal and the freshness from the blueberries made for not an overly sweet, but still decadent dessert. I love this place so much that I bought their newly released cookbook, appropriately titled, Huckleberry. Peeking in the background is the brisket plate, which I had a taste of. It was super tender in a sweet, yet savoury sauce. Madeo is a traditional Italian restaurant known for high profile customers, looking for a no bull*%$! kind of meal. 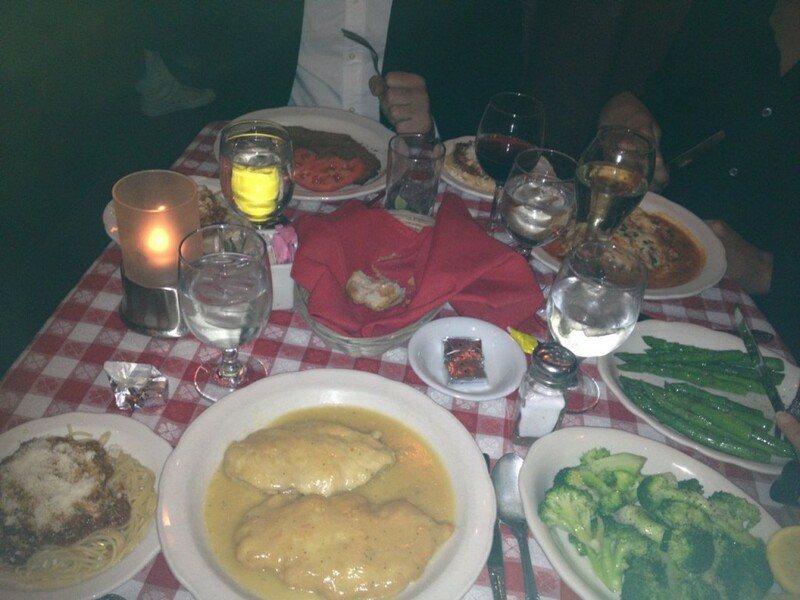 Filled with white table cloths and elderly Italian servers, it’s just how you would imagine an authentic Italian spot. Not only do they serve soft white Italian bread, they then brought over a plate of what reminded me of pita crisps or flatbread drizzled with olive oil. While we were waiting for our food, a server brought a piece of plain cheese pizza to our table to try. 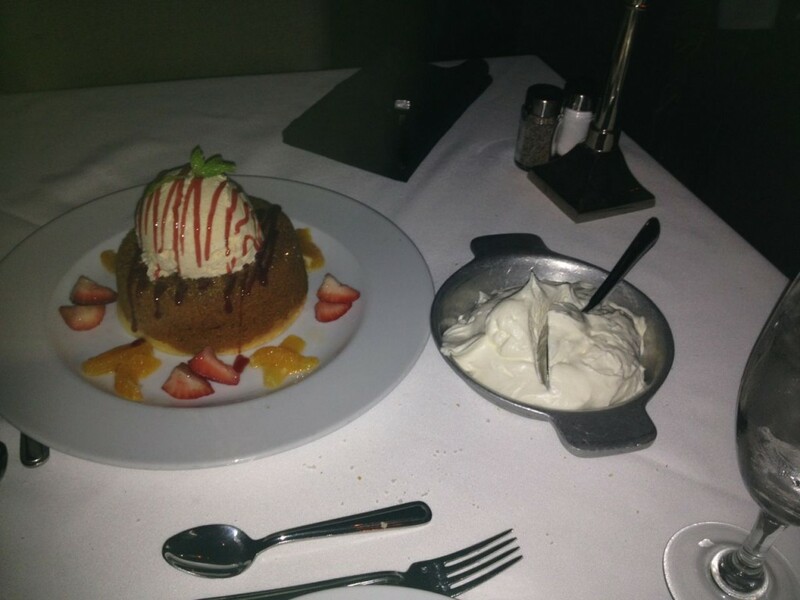 It was a very lovely gesture and a great taste of what was to come. I don’t think I have ever ordered Eggplant Parmesan at a restaurant, but for some reason it seemed appealing. I am very glad that I did because the fresh tomato sauce, creamy cheese and perfectly crisp eggplant was out of this world. 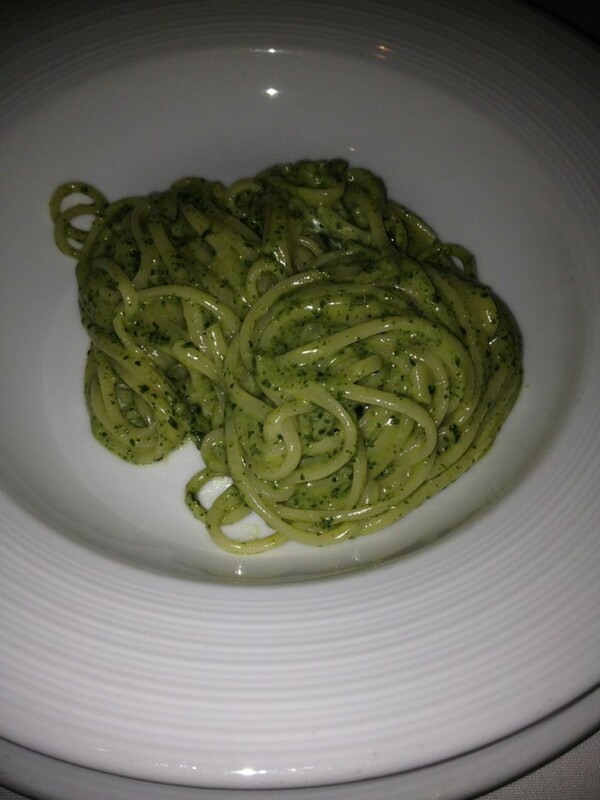 For main course, I chose the pesto linguine. Simple, yet classic. In my eyes, you can never go wrong when pesto is involved. Madeo was a delightful meal, but to be honest a little over priced for what it is. However, it is a classic staple so it is worth a visit maybe for a special occasion. 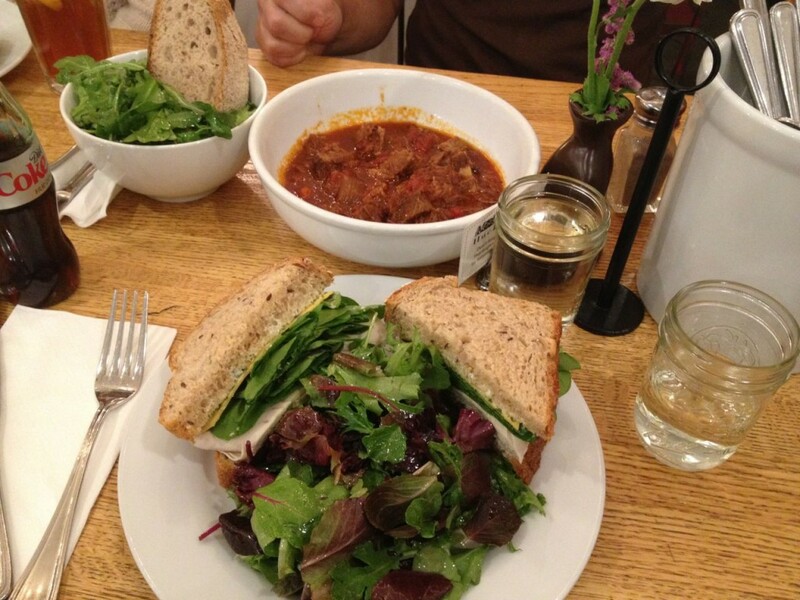 If you are looking for a cool, trendy restaurant with amazing food, you must try Laurel Hardware. The back patio is quite the vibe, feeling like a cozy backyard with trees, comfy seating, and strung lights. P.E.I. mussels were to start, accompanied by watercress, fennel and calabrian chillies. The broth was light and allowed the freshness of the mussels to shine through. Marinated steak with baby potatoes, spring onions and tomato jam, as well as a pizza with assorted mushrooms, broccoli pesto, and truffle oil for the main course. The steak was juicy and cooked to perfection, and the flavours paired extremely well with the pizza and not too crispy not too chewy crust. For sides our choices were the Brussels Sprouts with walnuts, french feta, mint and pomegranate seeds. These were the favourite of the night. 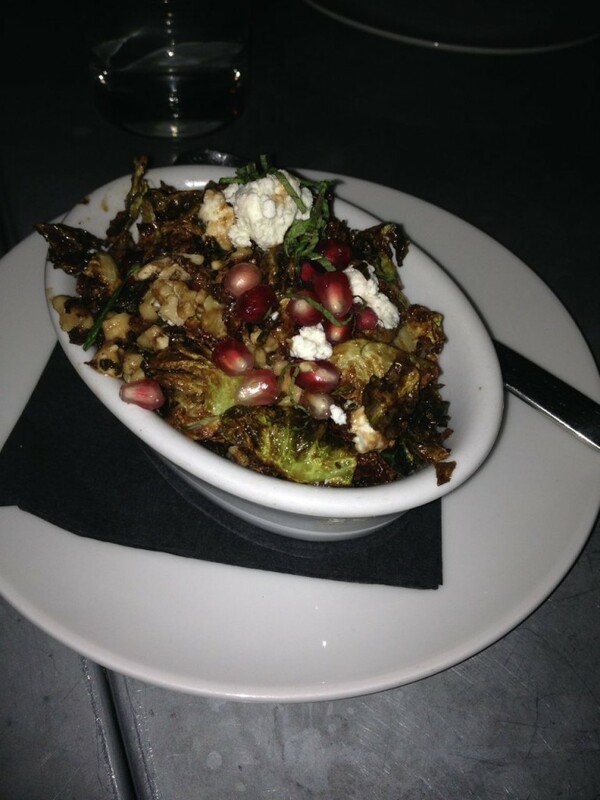 Crispy Brussels Sprouts, and the tangy sweetness from the feta and the pomegranates really stood out for my taste buds. 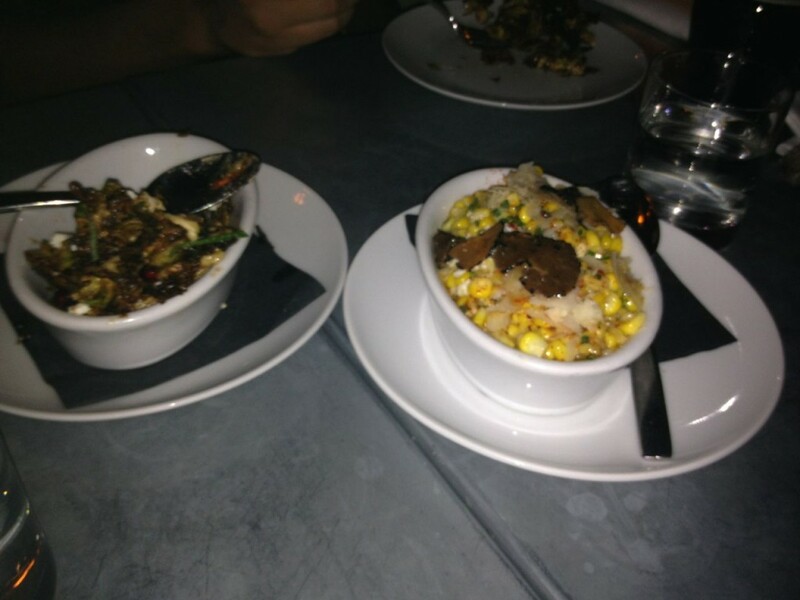 Another side was the market corn with truffle butter, ricotta, and espellette (type of chilli pepper). OMG to these as well! The truffle butter really knocked my socks off! Don’t forget about the brownie with hazelnuts and vanilla ice cream or the butterscotch cream with caramel, maldon sea salt and granola. The brownie was rich and gooey. 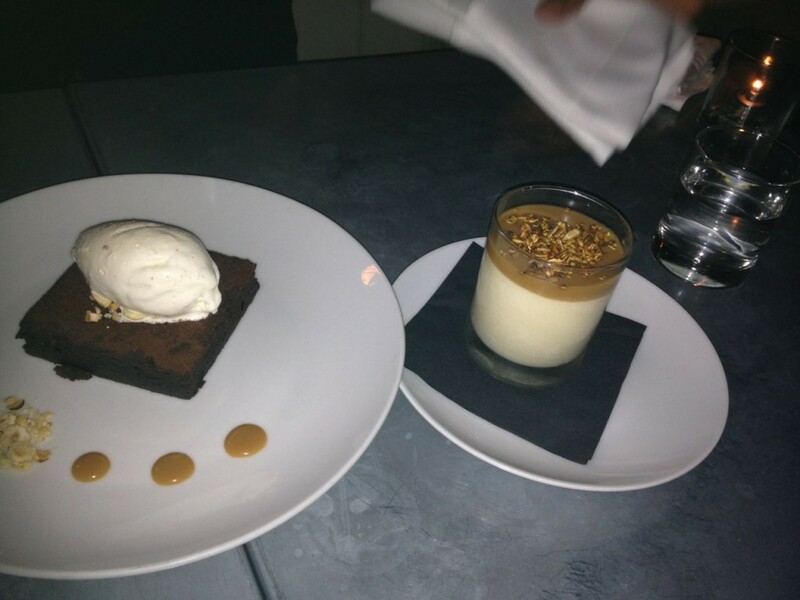 The butterscotch dish was creamy, with an immense flavour overload with the touch of sea salt. I would give Laurel Hardware 5 stars for food and ambiance! As I was walking down Santa Monica Blvd in search of somewhere for dinner, I passed by Salt’s Cure. It is newly opened and looked intriguing. There were only seats at the counter so myself and my party took a seat. It happened to be the best seat in the house because it overlooks the chefs station where you could see everything being prepared. The busy grill, the deep fryer, the chopping station. It was all right in front of us. 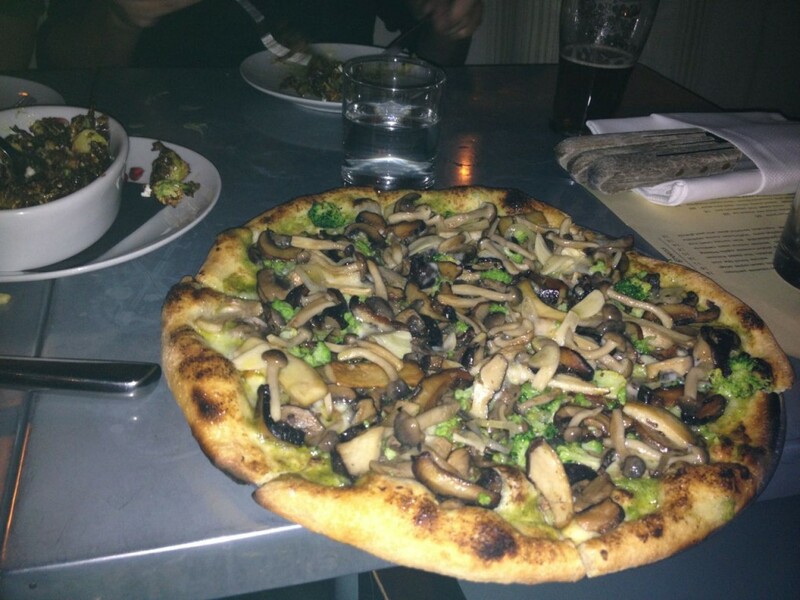 Everything is local and seasonal, which seems to be the norm in LA. 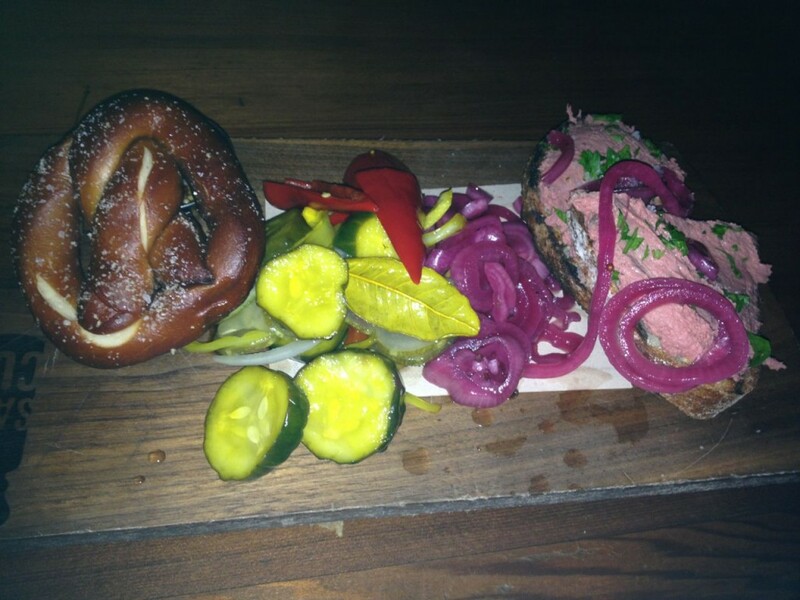 For starters we chose the pretzel with mustard and pickles, which was a great start, as well as the chicken liver pudding. This is not something I would normally order and only had a bite, but to be honest it didn’t dissapoint. 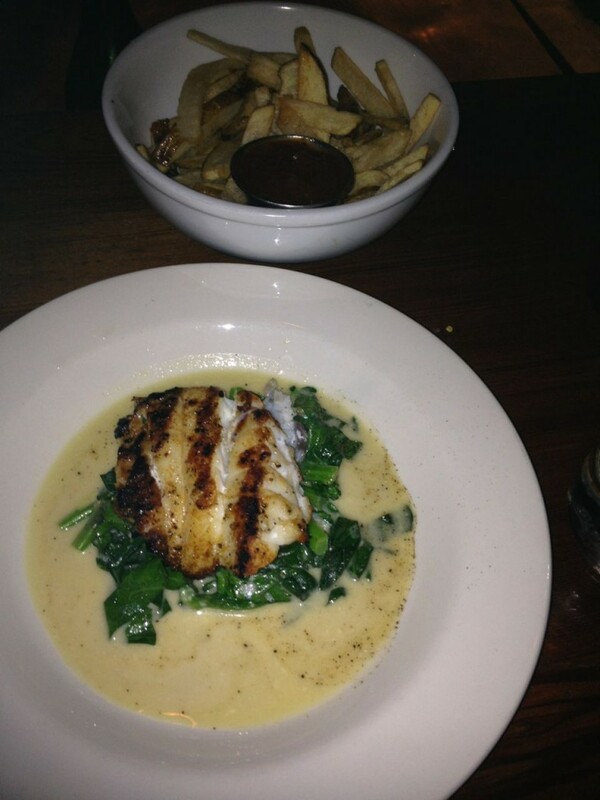 I kept my main light and fresh with a delicious order of cod sitting atop sautéed greens. A side of freshly cut fries sprinkled with sea salt and rosemary was the perfect pairing. This was a remarkable restaurant experience. I ended off my journey with a trip to Dan Tana’s. 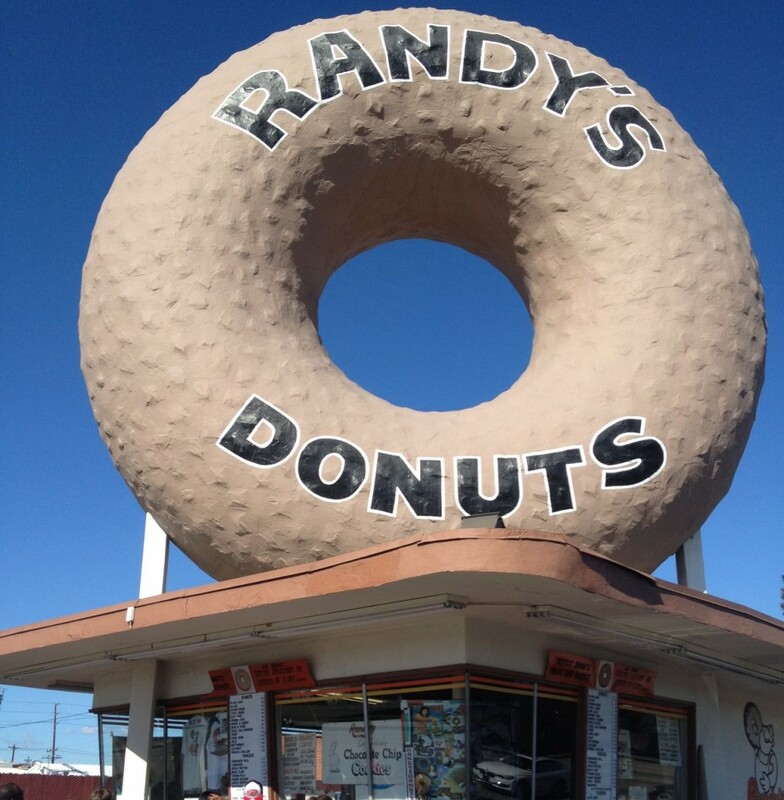 It is an old LA staple known to be a stomping ground for many famous celebrities for decades. This is another old school classic Italian eatery. Very small inside, white and red checkered table cloths, and older Italian gentlemen as servers. The menu is full of classic Italian dishes such as Chicken Parmesan, Veal Parmesan, Spaghetti Bolognese, etc. I opted for the Chicken Picatta with a side of spaghetti with beef bolognese sauce. Chicken smothered in lemony sauce comes on a plate, with a side plate of spaghetti. Nothing fancy here. Straight up simple good Italian food. This brings us to the end of my culinary adventure in Los Angeles! 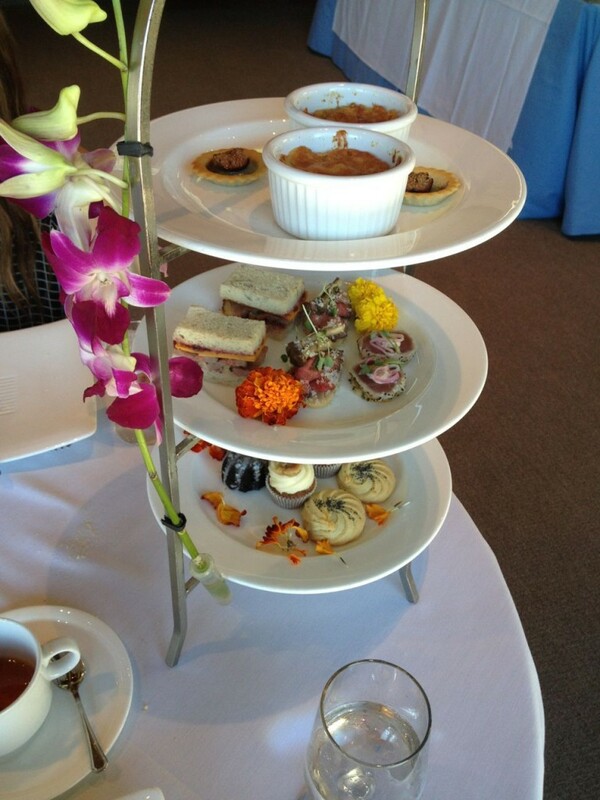 I truly ate well and enjoyed every moment of it. Back home to the cold now! GRRRR!